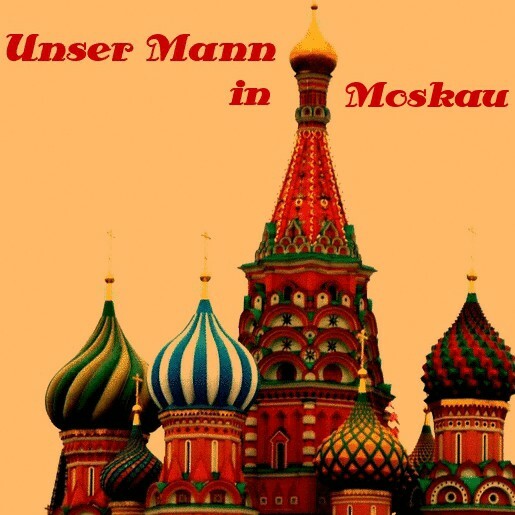 Für uns gibt es ein kleines Jubiläum – Unser Mann in Moskau wird 5. Wir feierten bei Torte und tanzten ausgelassen unter Hello Kitty® -Luftballons. Fans of Dinamo Minsk have been left puzzled after security forces (OMON) arrested three people, apparently for no reason, following after the club’s home game with FC Slutsk on 18 June. The game, which Dinamo won 2-0, was watched by a crowd of 1,800 and was significant due to the fact that fans were marking the club’s 88th birthday. Having witnessed the arrests himself, club president Alim Selimov attempted to intervene on behalf of the fans. However, despite what was described as a “prolonged discussion” with an OMON security specialist, Selimov was unable to secure the fans’ release and they were taken into police custody, where they were charged with “minor hooliganism.” Having been processed and found guilty, the fans were each fined 3.6 million Belarusian rubles (approx. €210). The celebration of 88 years of the club’s existence took place amid a carnival atmosphere, with balloons and a number of commemorative banners in the stadium. Also specially attending the jubilee match were a number of mentally handicapped individuals in the care of the charitable organisation World Without Limits, which is run by representatives of the local Orthodox Church. Dinamo currently lie in second place in the Belarusian Premier League, with 11 games played so far in the 2015 season, which runs from April to November. The club dominated the league in the years following Belarusian independence and have won 7 Belarusian national titles in total, although the last came in 2004. Dinamo Minsk also won the USSR football championship in 1982 and played in two USSR Cup finals in 1965 and 1987. In European competition, Dinamo have reached quarter finals of the European Cup, UEFA Cup and European Cup Winners’ Cup. In 2014-15, they became only the second Belarusian side since independence to play in the group stages of the Europa League, where they faced PAOK, Guingamp and Fiorentina. Just a day before the 88th birthday celebrations, Italian authorities announced that the trial of a number of Dinamo fans, indicted in Italy over clashes with police prior to their Europa League game against Fiorentina in Florence, would be postponed until 2016 because courts in Italy were overwhelmed with a backlog of cases. The incidents in question allegedly occurred as fans were on their way to Fiorentina’s Artemio Franchi Stadium on 11 December 2014. Fans are said to have been drinking in bars before marching along a main road towards the stadium, whereupon local police are alleged to have “offered the fans ‘a lift’ to the stadium in police vans.” This is said to have led to physical confrontations between fans and police, with beer bottles and restaurant furniture being used as missiles. Police also claim that some fans were armed with clubs. In the wake of the arrests, police released a series of pictures to local media in Italy, claiming to show items they had taken from Dinamo fans. A number of these pictures show objects bearing Neo-Nazi or white supremacist slogans. At the same time, an unnamed source from within the Dinamo Minsk fan scene has claimed that not all of the items displayed belong to Minsk fans, and that some of the more compromising items could have been planted by the police. Altogether, 61 fans were held as a result of the clashes, with 13 of these formally arrested. However, all those arrested were quickly released and did not receive any fines, although they were banned from attending any football matches in Italy for 5 years. Before postponement of the trial, 14 fans were due to appear before a judge in Italy on 15 June. Despite this, one of the fans attending the Fiorentina game claimed that “nobody has even received a court summons and none of us will go there.” Meanwhile, Dmitriy Mironchik, a spokesman for the Belarusian foreign minister, announced that the trial had been postponed until February 2016, while cautioning fans involved to either be present at the trial or, at least, secure the services of a lawyer. 8. Juli – It’s getting tickly now. Fankultur im Vereinigten Königreich.